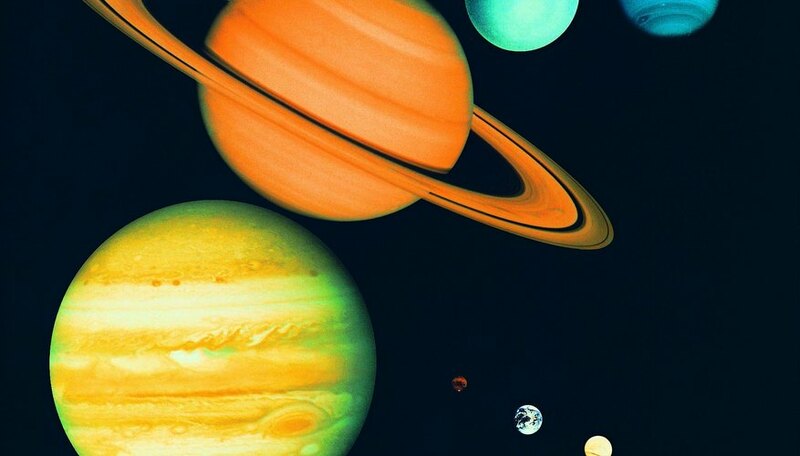 Of the nine planets in our solar system, Jupiter is the largest and is part of a group known as the gas giants. It is the fifth planet from the Sun, with an orbit of around 500 million miles, which it covers in just under 12 Earth years. A day on Jupiter would last approximately 10 Earth hours long. As it is one of the brightest bodies in the night sky, Jupiter was discovered by the ancients, and, as of time of publication, 50 moons have been discovered orbiting the planet. The four largest ones were discovered by Galileo and named Io, Europa, Ganymede and Callisto. The diameter of Jupiter is 10 times larger than that of Earth, and it has 300 times Earth's mass. The mass of Jupiter is actually more than twice the total mass of all the other planets in the solar system, but it still has just one-thousandth of the mass of the Sun. However, because the planet is made of gases, it is only a little more dense than water. The composition and internal structure of Jupiter is completely different from Earth's. Jupiter is in fact more similar to the Sun in that it is composed primarily of hydrogen and helium; in fact, Jupiter would have become a star had it been 80 times more massive. Where Jupiter is similar to the Earth is in the very center of the planet, called the core. Both planets have a solid core, and Jupiter's core has a diameter of 24,000 km (14,912 miles). The rest of the planet is made up of layers of gases. 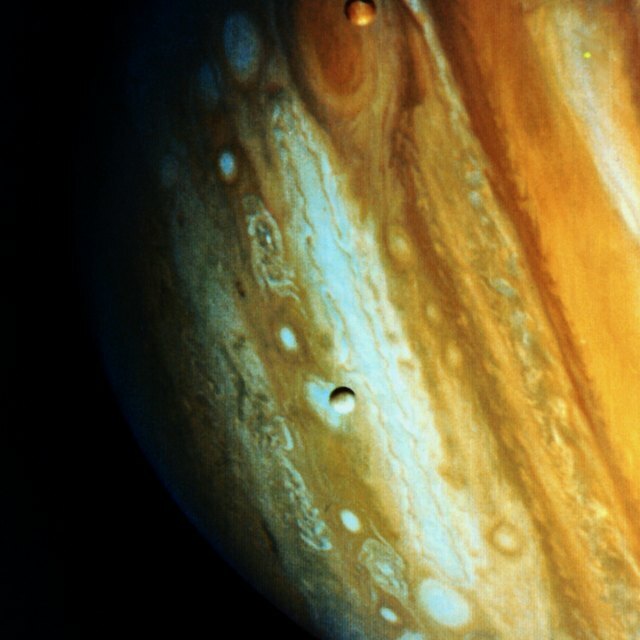 Because Jupiter is so massive, the gases the planet is composed of are under a massive amount of pressure. Its distance from the Sun also means the planet is incredibly cold, ranging from -202 degrees Fahrenheit in the cloudy atmosphere to 86 degrees F in the center. Both these factors mean the gases of Jupiter behave differently than how they act on Earth. Surrounding Jupiter's core is a layer of hydrogen that acts like a metal, and just outside that is a liquid layer of mainly hydrogen and helium. Finally, 621 miles above this is the cloudy atmosphere. The swirly "surface" of Jupiter that we see from Earth is in fact the clouds of ammonia and methane that make up the very top layer of the planet. Because the planet is made solely of gases, it would be impossible to stand on the surface, and actually, no surface exists to stand on. Even if Jupiter had a solid surface, the intense pressure caused by the huge mass of the planet would be more than a human could stand. The pull of gravity at the top of the layer of clouds on Jupiter is 2.5 times the force of gravity on Earth, so if a person weighs 100 pounds on Earth, they would weigh 253 pounds on Jupiter. Stacey Mitchell is a freelance writer and proofreader based in southern Wales. With a Bachelor of Arts in Egyptology from Swansea University, she specializes in writing about history, travel and food. Mitchell, Stacey. "Describe the Surface Terrain on Jupiter." Sciencing, https://sciencing.com/describe-surface-terrain-jupiter-8783397.html. 24 April 2017.